The bees have been really bad this year. I’ve been stung 4 times already. The stores are selling bee sprays and traps like crazy as people try to deal with all these bees. 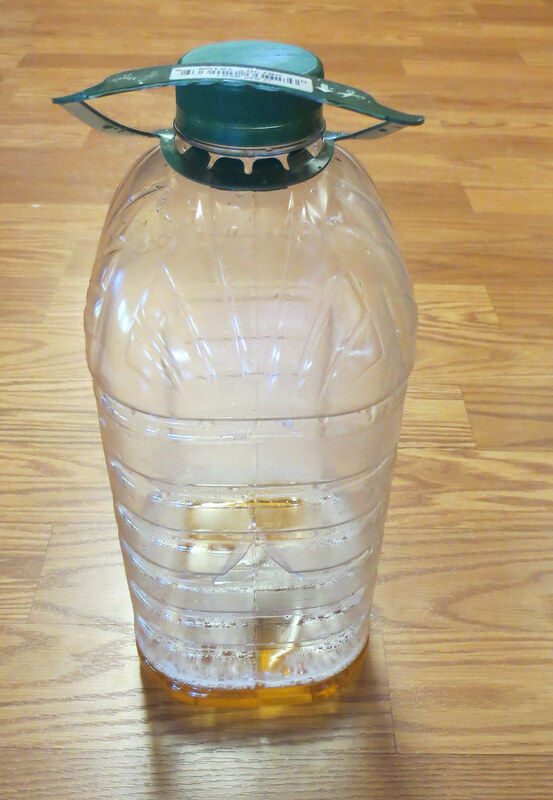 So I decided to make a homemade bee trap. 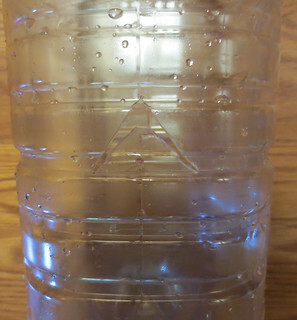 Cut a upside down V as shown on the jug. 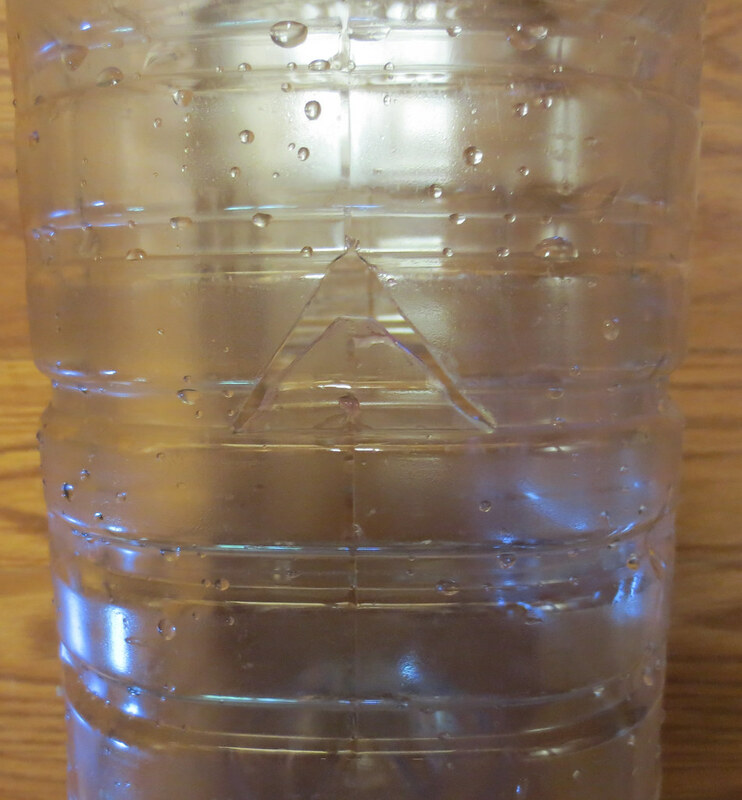 Push the cut plastic in just a little. Fill the jug with a few inches of apple juice or other liquid for attracting the bees. Add a tablespoon or so of oil such as vegetable or olive oil. Tie the cord around the handle and hang it up outside. 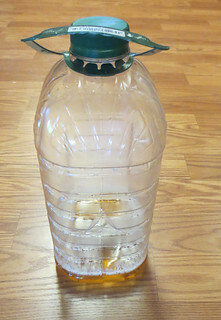 After just a few minutes my first homemade bee trap already had a few bees inside. The bees go down into the juice and the oil gets on their wings and they drown. I added another jug which is shown in the first picture that I used a lettuce net to hang a piece of hot dog inside for added attractant. 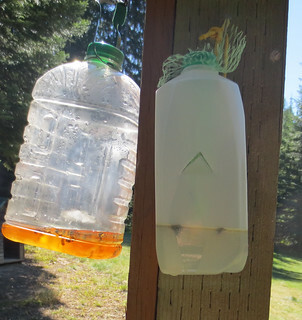 Using a recycled plastic jug to make a homemade bee trap works fairly well. Both of my traps now have many dead bees inside.